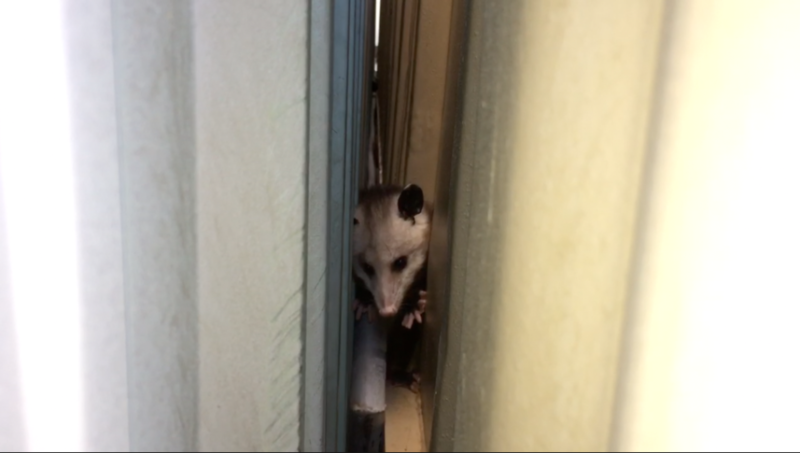 One small slip and an opossum in Spring Valley suddenly found himself wedged between no, not a rock and a hard place, but down between a building and a cargo container. 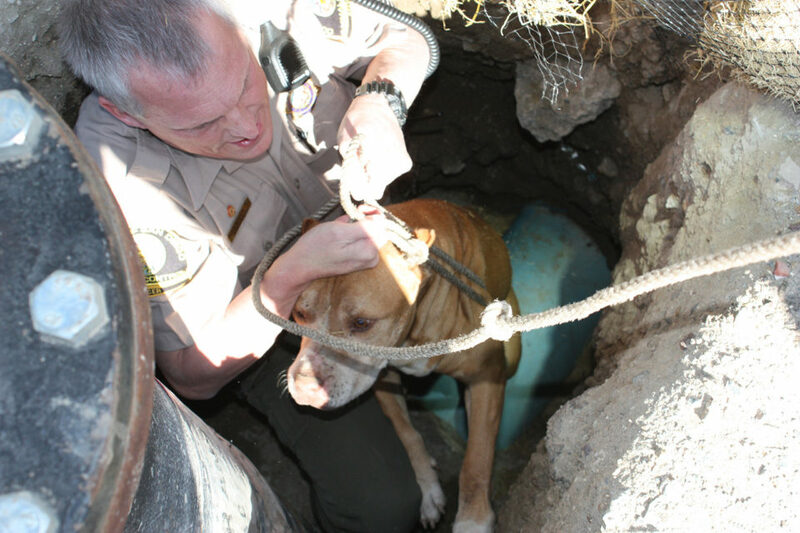 A large dog is safe at County Animal Services after he was rescued from a tight, six-foot-deep hole Tuesday in San Ysidro. 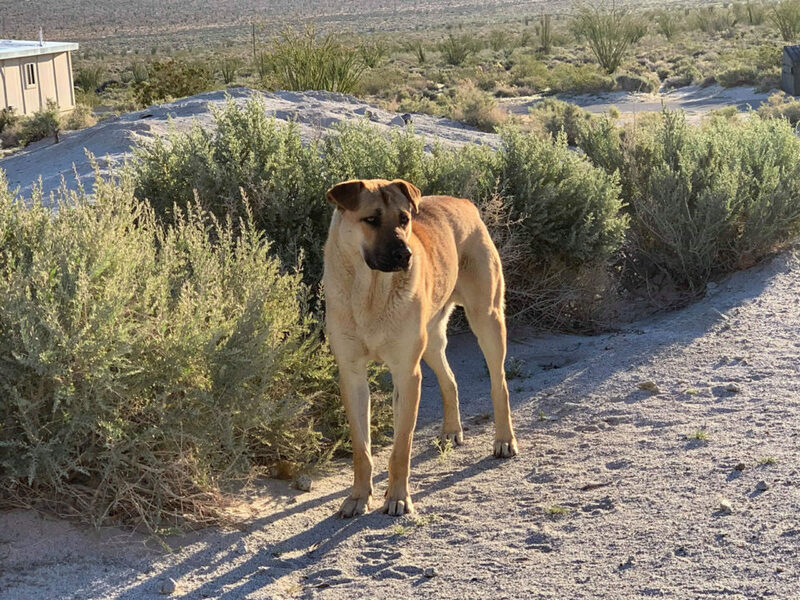 Weeks after having her leg severed by a car and being left untreated for days, Solei has a new home. 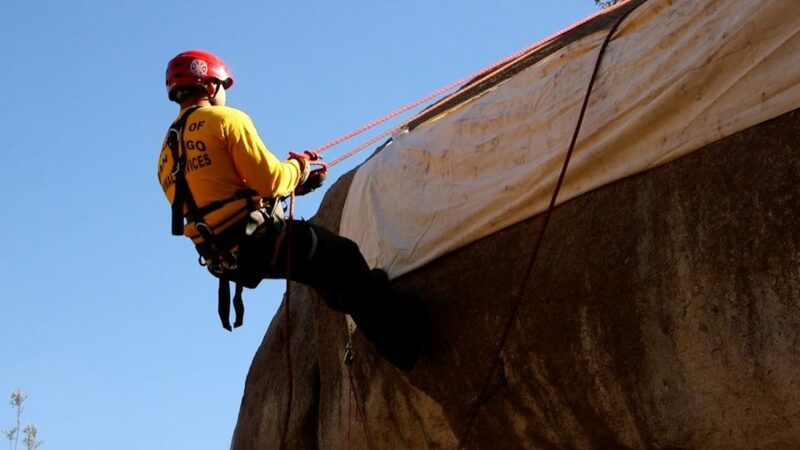 Rescuing animals can sometimes be a dangerous task, especially when cliffs and extreme terrain are involved. 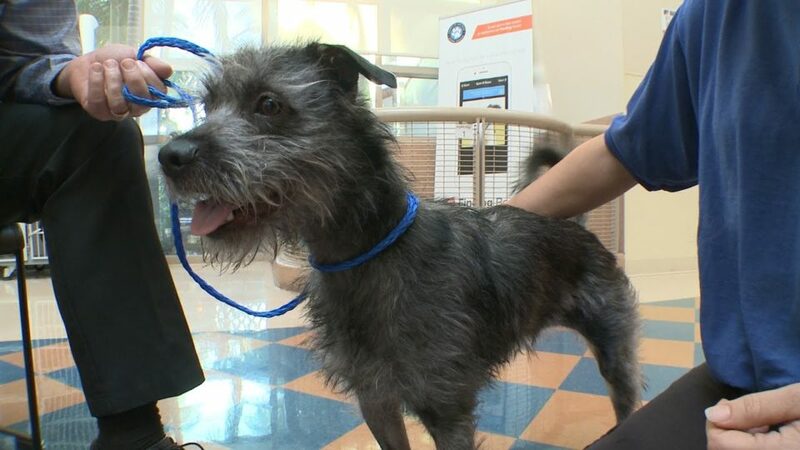 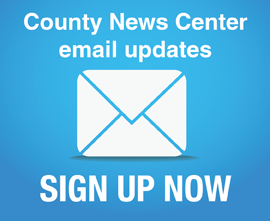 County Animal Services participated in an exercise to better their skills. 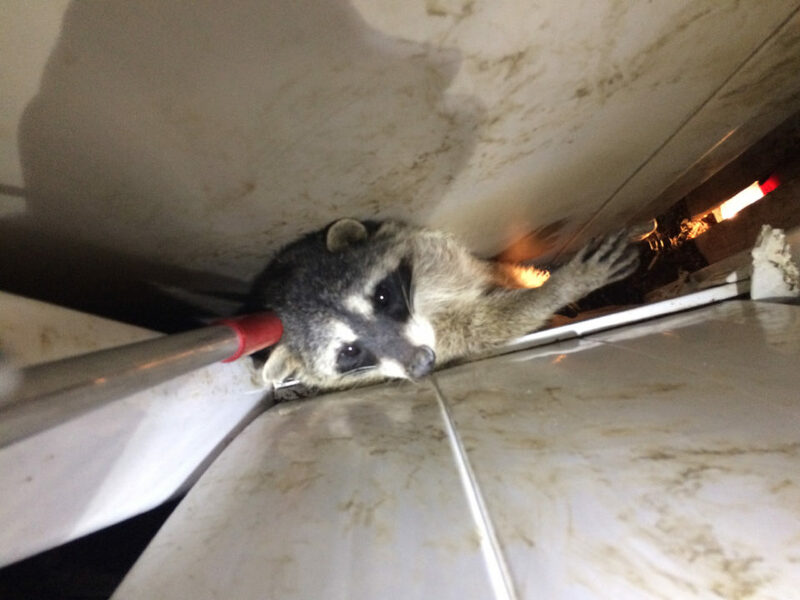 What’s a wild critter to do when he finds himself between a rock and a hard place? 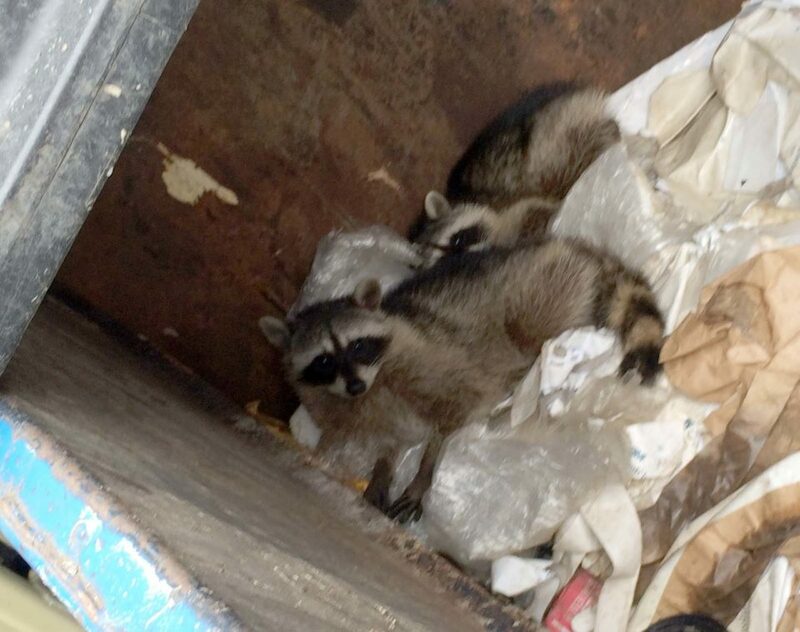 What looked like easy pickings inside a dumpster at a Grantville recycling plant turned into a deep problem when two raccoons found they couldn’t get back out.